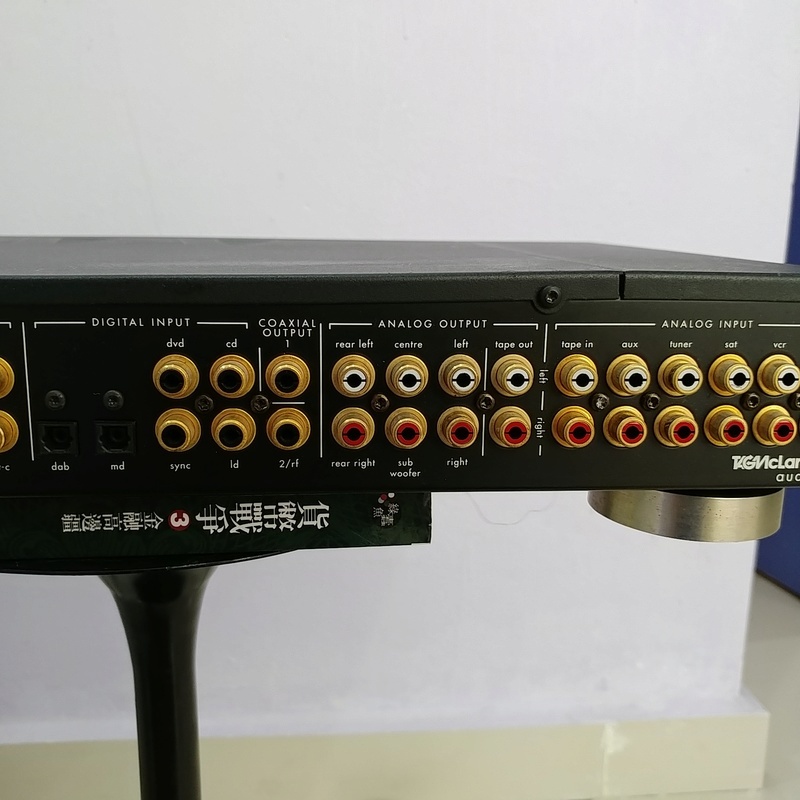 Rare and highly acclaimed TAG McLaren AV32R preamplifier with Remote. This has 6 two-channel analog inputs, a tape loop. 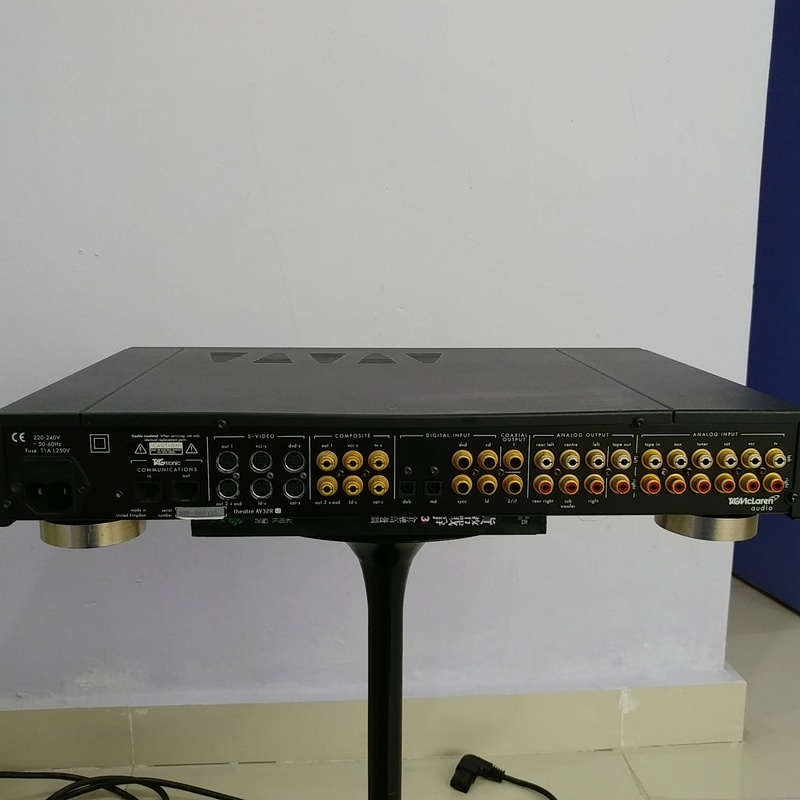 It also has 4 coaxial, and 2 optical digital inputs. This is a very high-end preamp/processor made by the electronics division of the McLaren auto manufacturer. 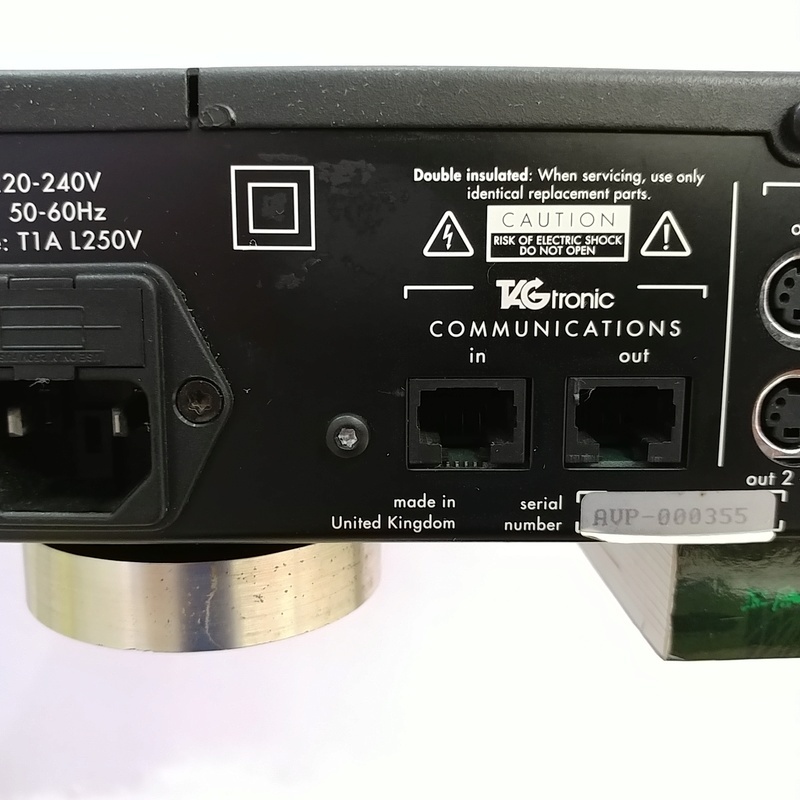 It uses premium components such as a round-core transformer, 15 individual linear power supplies for excellent signal separation and using Elna Cerafine decoupling capacitors. 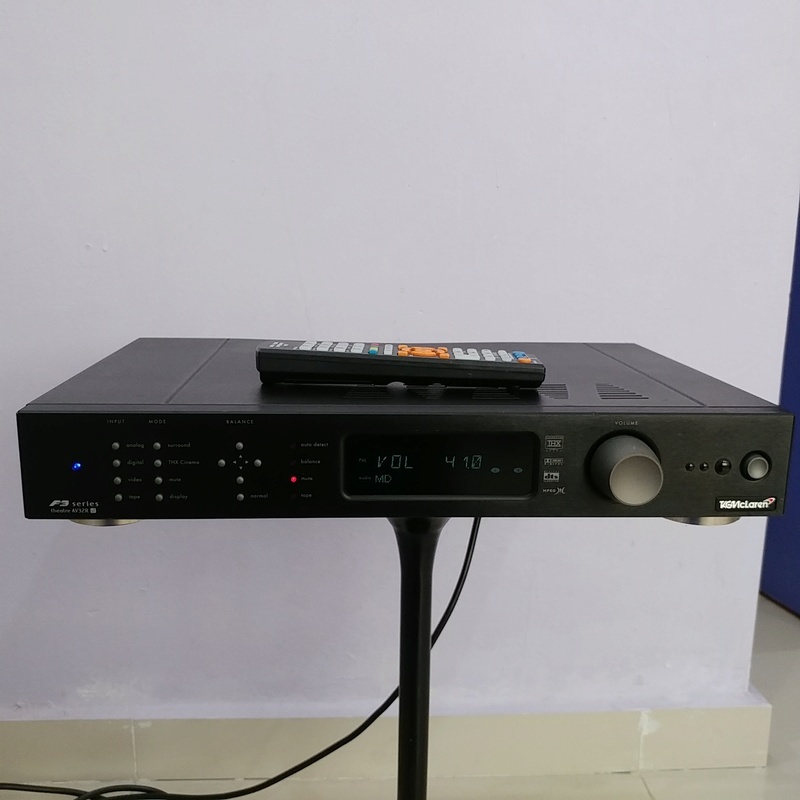 It also uses premium grade audio components, such as ultra-stable Vishay metal-film resistors and Wima capacitors. Used as a two channel preamp this is excellent sounding. 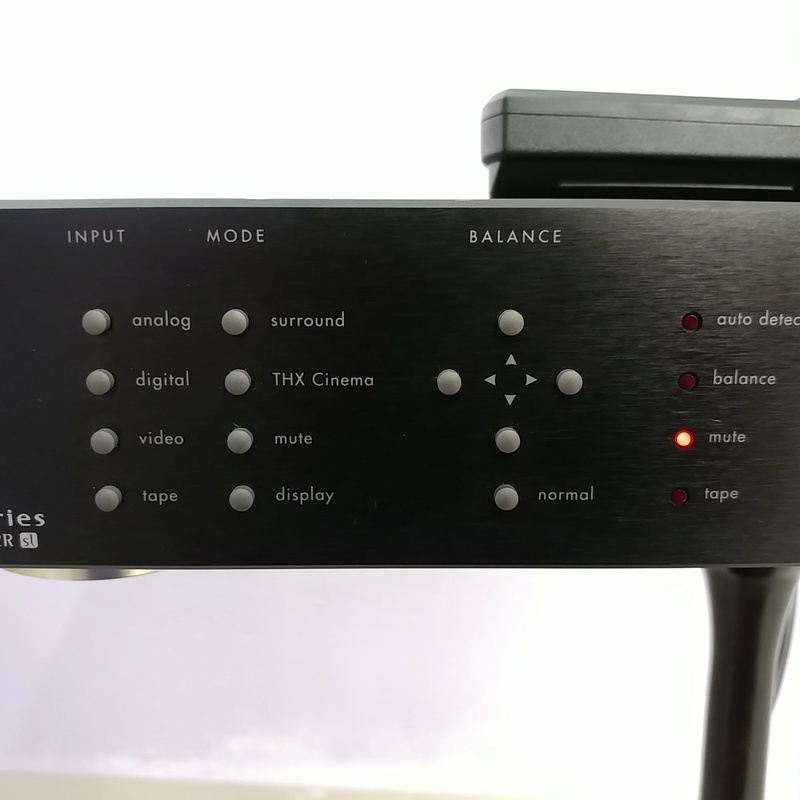 The built-in DACs are superb as well; It features a 32 bit Analog Devices SHARC processor, offering 24 bit 96 KHz processing for superb audio reproduction and ultra-low jitter. It’s physical construction is also top-notch. It uses multi-layer glass-epoxy circuit boards. It has high-quality control knobs, manufactured in their Formula One facility from 6082-TF aluminum alloy. Both the cover and faceplate are bonded with a viscoelastic laminate to absorb vibrations. Even the mounting feet are made from a multi-part sorbothane membrane molded between an inner support mounting post and an outer shell. The outer shell carries a polyurethane disk that protects the surface of furniture while providing additional damping. New price was $4,500. 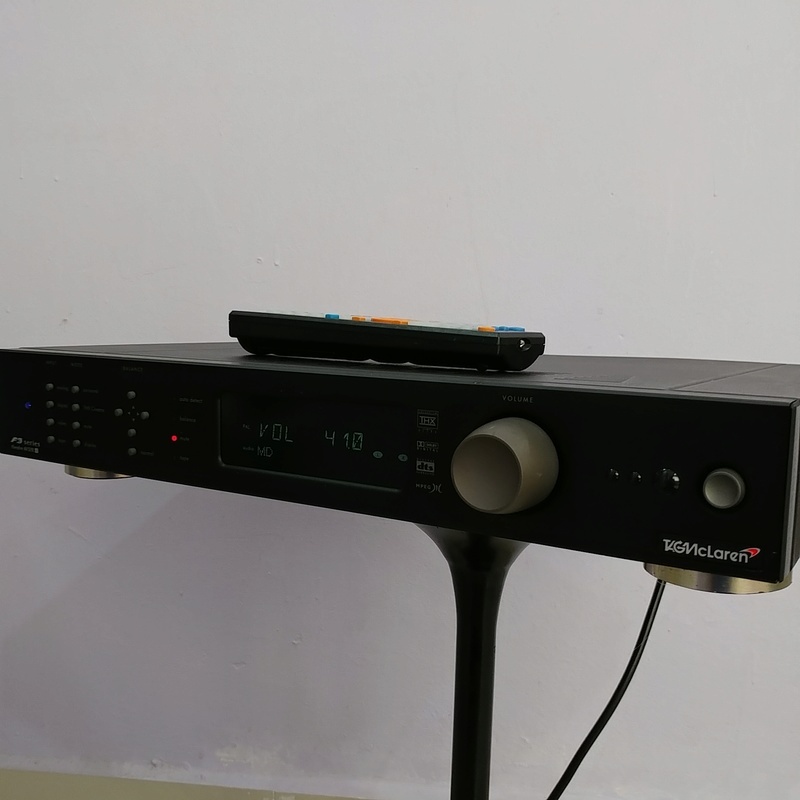 I've been using it as an audiophile preamp, bypassing the analogue signal from my CD player and is was a surprise. The new DAC's and bypass facilities made this on of the better options. It works very well, good imaging, clean and detailed mids, sweet highs and powerfull bass. The Tag fits the bill. For music, the sound is excellent, very clear and full. I was listening to a live CD which I have listened to hundreds of times. With the AV32R, I heard background vocals that I've never heard before. I heard foot tapping and finger snaps that was all new to me. 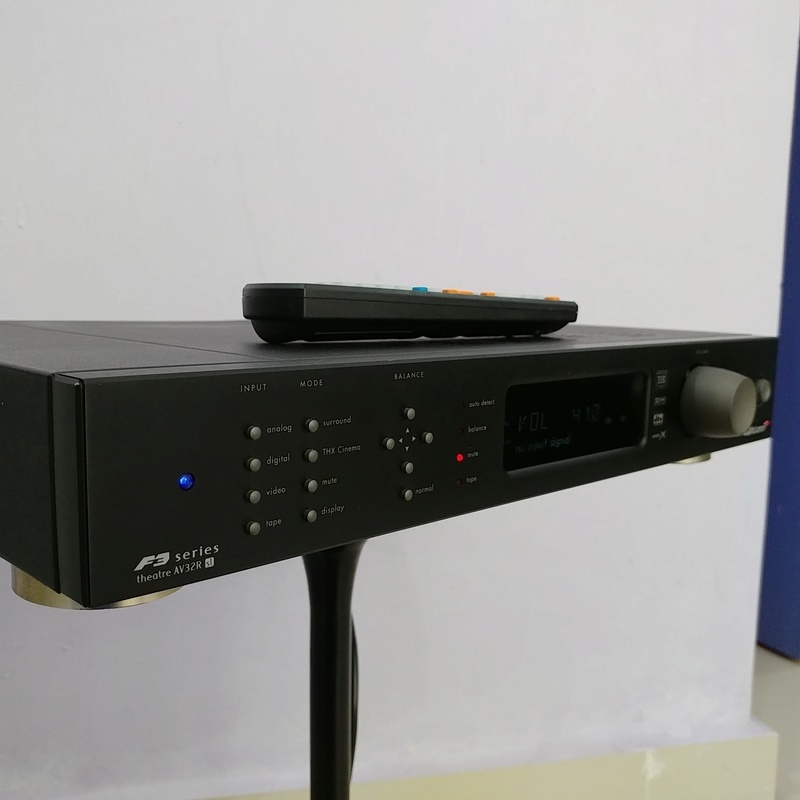 I listen to rock, jazz, funk and they all sound excellent with the AV32R. It also does a great job with movies. Much like music, the sound is very clear. The bass is solid and had my room rumbling.